2009 digitally remastered three-CD set contains a trio of albums from the new-millenium Southside and the Asbury Jukes: Messin' With the Blues (2000), Going to Jukesville (2002), and Into The Harbour (2006). UK import on the Arcadia label. From Mark Deming's All Music Guide review: "...In 2000, encouraged by Garry Tallent, Southside Johnny Lyon launched his own record label, Leroy Records, and took his latest edition of the Asbury Jukes back into the studio. The result was one of the strongest albums of Lyon's career, Messin' with the Blues, and if it seemed like a fluke to the loyal fans who bought the album at shows, online, or through mail order, the two records that followed -- 2002's Going to Jukesville and 2006's Into the Harbour -- offered solid proof that Lyon had hit a new stride in the studio. Now the British Acadia label has reissued these albums together in a three-disc box set, and Jukes! The New Jersey Collection makes this music more easily available than it has been in the past. Messin' with the Blues is the closest thing to a pure blues album Southside Johnny has ever made, and while it veers off into a number of music directions over the course of 14 songs (it does open with a Tom Waits number), the music taps into Lyon's primal influences to superb effect, and his vocals and harmonica work rank with the best of his career. Going to Jukesville isn't as immediately impressive, but if the album is a throwback to the bar band R&B sound of his classic period, it shows Lyon has lost none of his power and authority as a singer, and this lineup of the Asbury Jukes is tight and forceful... And Into the Harbour built on the strength of Going to Jukesville, encompassing tough rock & roll, thoughtful ballads, and hard-charging R&B and sounding vital, intelligent, and mature at each turn. By the time Into the Harbour comes to a close, it becomes obvious that Southside Johnny and his band have a far better idea of how to make a great record than most of the folks they've had to work with over the years, and if the prospect of three self-released albums from a guy whose biggest brush with fame came a couple decades ago sounds a bit grim, Jukes! 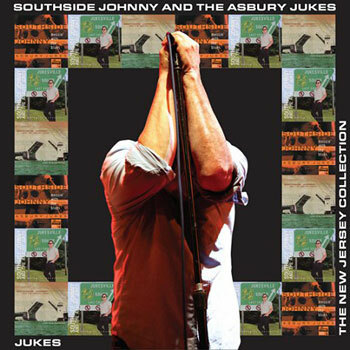 The New Jersey Collection confirms that while practically no one was looking, Southside Johnny Lyon was making some of the best and most personal music of his life; taken together, these albums are little short of revelatory. If you think you outgrew Southside Johnny & the Asbury Jukes or that time passed them by, give The New Jersey Collection a spin and find out just how wrong you've been."